Celebrated in the last week of April, the World Immunization Week aims to promote the use of vaccines to protect people of all ages against disease. 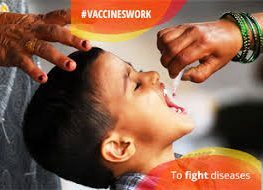 Immunization saves millions of lives every year and is widely recognized as one of the world’s most successful and cost-effective health interventions. Yet, there are still nearly 20 million unvaccinated and under-vaccinated children in the world today.